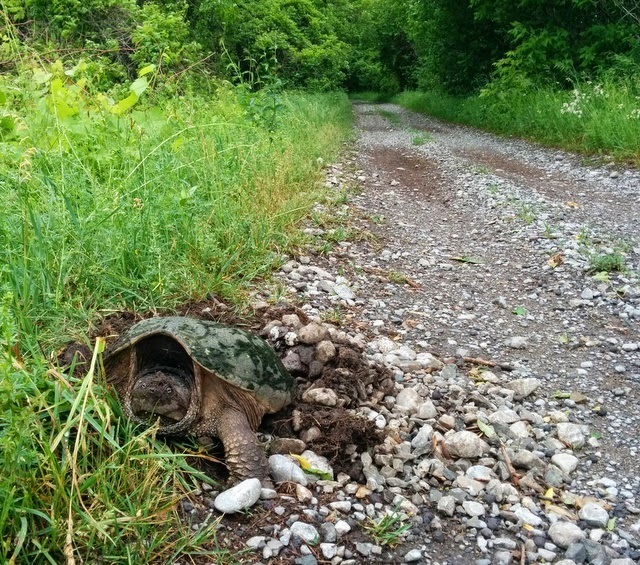 We had a snapping turtle on the side of our road last week ... no soft spots to dig and lay eggs. In fact I have no idea how it got there. The neighbour and friend took it way back in the fields to where there was some water.